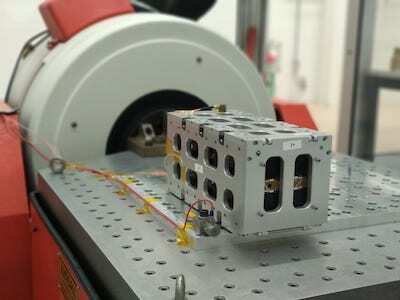 The team at Alén Space has been developing nanosatellites since 2007 under CubeSat standards, the result of a joint development project between California State Polytechnic University (Cal Poly) and Stanford University that got underway in 1990. The original aim of the CubeSat project was to ensure affordable access to space for university researchers. 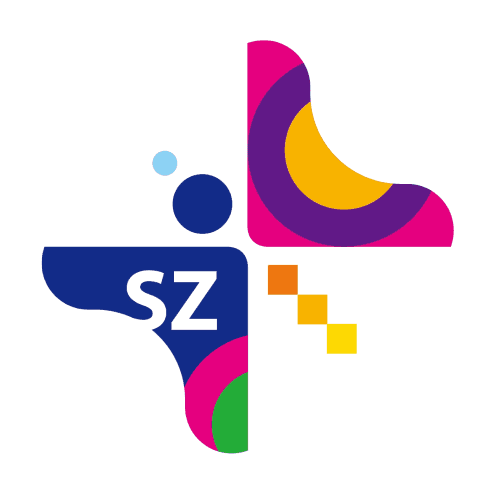 Over time, the programme was extended to include scientific and educational institutions around the world, as well as public initiatives in a number of countries and eventually also to private enterprise. How Big is a Nanosatellite? How Long Does It Take to Develop a New Nanosatellite? How Much Does a Nanosatellite Cost? 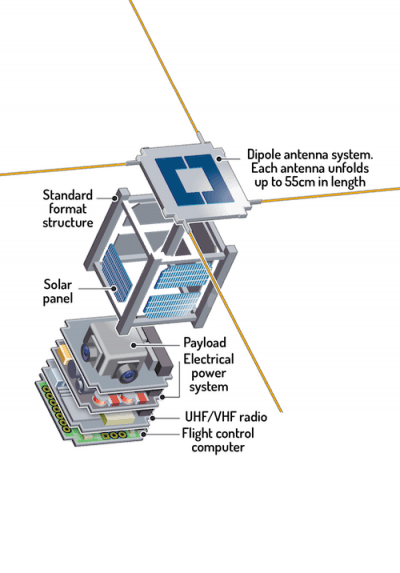 What is a Nanosatellite Constellation? Nanosatellites are loosely defined as any satellite weighing less than 10 kilograms. CubeSats must also comply with a series of specific criteria that control factors such as their shape, size and weight. 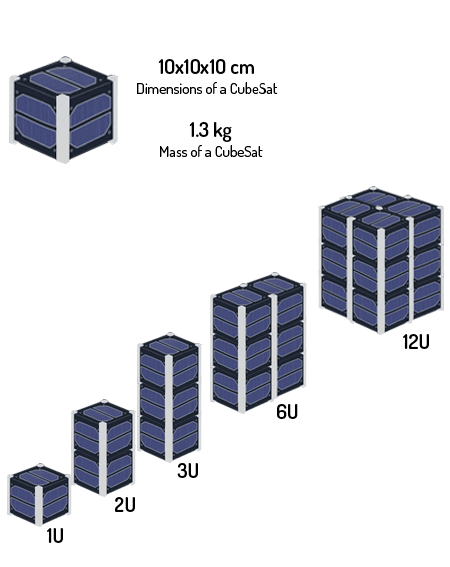 CubeSats can come in various sizes, but they are all based on the standard CubeSat unit, namely a cube-shaped structure measuring 10x10x10 centimetres with a mass of somewhere between 1 and 1.33 kg. This unit is known as 1U. After the first few years, this modular unit was multiplied and larger nanosatellites are now common (1.5U, 2U, 3U or 6U). Today, new configurations are under development. Nanosatellite development based on CubeSat standards guarantees ongoing and relatively inexpensive access to space, as well as a wide range of launch and space rocket options. CubeSat standardisation opens up the possibility of using commercial electronic parts and the choice of numerous technology suppliers, thereby considerably cutting the costs of CubeSat engineering and development projects in comparison with other types of satellites. Humankind successfully sent its first artificial satellites into the Earth’s orbit in 1957, with the USSR’s Sputnik models. Since then and up until the end of the 20th century, the world’s superpowers, led by their governments, launched hundreds of satellites, competing in a race to explore space in a series of increasingly ambitious and complex projects. The first Sputnik weighed 80 kg and the second over 500. Today, the International Space Station has a mass of 420,000 kg. To date, space technology has tended to become increasingly large and sophisticated, accessible only to the space agencies of the world’s most developed countries or at the service of major corporations. New Space is based on a philosophy of creating less expensive satellites in shorter periods of time, thanks to the falling costs and miniaturisation of electronic parts. With nanosatellites, the benefits that were traditionally reserved exclusively for large companies or space agencies with vast financial resources have been democratised and are now accessible to companies of all types and sizes. Artificial satellites vary in size and cost depending on the use they are put to. They can be small enough to fit in the palm of your hand or as huge as the ISS. According to NASA, “in terms of mass, a nanosat or nanosatellite is anything that weighs between 1 and 10 kilograms”. Standards are currently being developed in experimental format for picosatellites, such as PocketQubes, Sun Cubes or TubeSats. Apart from their size and cost, the biggest advantage of a nanosatellite is the short time period required to develop each model.  An average-sized or large satellite requires between 5 and 15 years to identify the need and place it in the right orbit under normal parameters. So what are the implications of this? Well, between the start and end of operations, needs may well have changed, which means that the initially planned uses are no longer market-appropriate. What’s more, telecommunications technologies are constantly changing and being updated, which means that conventional satellites eventually end up operating with 15-year-old technologies. It is impossible to constantly update large satellites, which means that they cannot be modified even when a market or technology opportunity arises. However, this is not the case of nanosatellites: it can take less than 8 months to detect a need and place them in orbit. In addition to guarantees of redundancy and robustness, nanosatellite constellations provide a system in which the concepts of obsolescence or useful life are no longer an issue. The very nature of nanosatellites means that constellations are regularly renewed, ensuring a consistent state-of-the-art system, the result of ongoing technological upgrades. This constant renewal ensures that the constellation owner can provide an optimum technological service at all times. Developing small satellites in accordance with CubeSat standards contributes to cutting the costs of research and technical phases. This contributes significantly to overcoming the entry barrier to space, which has led to a sharp hike in CubeSats’ popularity since its introduction. Depending on the specifications, a nanosatellite can be built and placed in orbit for 500,000 euros. In comparison, the cost of a conventional satellite can be as high as 500 million euros. Particularly worthy of mention is the emergence of micro-launchers around the world; dedicated exclusively to placing small satellites in orbit, they have lowered launch costs. In addition to the actual development of each satellite, launching a nanosatellite as part of a constellation allows for the risk involved in any space mission to be divided up amongst smaller segments. As a result, if a nanosatellite is lost or one of the units fails, it can be rapidly replaced within feasible time periods and at a reasonable cost. In contrast, the failure of a large-scale satellite may well jeopardise the entire mission. The reduced cost of nanosatellites does not mean that they are less reliable. With the right methodologies, such as the Alén Space Matrix during both the satellite design and testing phases, the success of a mission can be guaranteed, leaving only those factors that cannot be controlled to chance: incidents such as launch failures, solar storms or the impact of a meteorite or piece of space junk. Once the nanosatellite has been developed, tested and is ready for operations, it must be placed in orbit. There are currently multiple launch options for nanosatellites, including the shared use of government agency rockets, private company launchers or logistic links with the International Space Station (ISS). CubeSats take up reduced amounts of volume and mass, making them easy to load onto spacecraft as well as a low cost solution. Furthermore, the emergence of micro-launchers around the world, dedicated exclusively to placing small satellites in orbit, has forced the market to lower launch prices. Satellites travel around the Earth in circular or elliptical orbits thanks to the balance between the gravitational and escape pull during launch. The absence of air means that there is no friction to alter the equation and they can remain in orbit practically indefinitely. When a nanosatellite comes to the end of its operational life, it re-enters the atmosphere and disintegrates. As a general rule, nanosatellites are launched in low circular or elliptical orbits (altitudes of between 400 and 650 km) and travel at around 8 km per second. At this altitude and height, it takes them around 90 minutes to orbit the Earth, completing between 14 and 16 orbits a day. These conditions are ideal for nanosatellites. By orbiting closer to the Earth, they not only guarantee optimum conditions for land observation or communications, but are also better protected from solar and cosmic radiation. Since the first artificial object was placed in orbit around the Earth, back in 1957, humankind has launched thousands of satellites, although there are no reliable or complete records. According to the United Nations Office for Outer Space Affairs (UNOOSA), more than 8,000 objects have been launched into outer space. However, this number does not only include satellites, but also probes, rockets and other devices. Due to the nanosatellite revolution, the number of objects will rise sharply over the coming years as the vast potential of Space Business unfolds. Nanosatellites are groups of constellations that provide backing, redundancy and granularity for the services they provide. Each satellite within a constellation is renewed every 2-4 years, thereby guaranteeing that the operator will always have an optimised low risk service that receives ongoing technological upgrades. Nanosatellite constellations are therefore systems in which the concepts of obsolescence or useful life are no longer an issue. CubeSats have appeared in the last 15 years and represent a new paradigm in the satellite industry. They are radically smaller than conventional satellites, resulting in lower costs, which offsets the reduced risk of failure and shorter useful life, which is nevertheless acceptable for numerous applications. The special nature of nanosatellites does not prevent them from carrying out the same tasks as larger devices. The features naturally differ, but are sufficient for multiple industrial applications. Collecting and interpreting data is essential for the correct management of natural resources and developing sustainable economies. Analysing human impact on agriculture, forest, geology and the environment is crucial in order to improve the population’s living conditions. Nanosatellites have laid the foundations for developing the Internet of Things (IoT) on a global scale, connecting areas of the world without land communication cover via infrastructures in space. There is a growing number of sensorised objects and networks requiring global connections and communications. Locating and handling assets (aircraft, ships, vehicles, etc.) can prove impossible or at best extremely costly in areas where there is no land cover. Located in space and offering a global vision, nanosatellite constellations can provide immediate monitoring of various asset groups anywhere on the planet. Nanosatellites can complement current networks by providing complex logistic management solutions. Nanosatellites can monitor radio signals transmitted from Earth. This means that in the event of a disaster, they can provide initial information regarding the degree of impact and the most seriously affected areas, allowing for more effective planning of rescue and relief work. In addition to commercial solutions, CubeSats can also be used for space observation programmes, interplanetary missions, systems testing in orbit or biomedical research. They also represent a gateway for the development of space programmes in those countries that have not yet joined the space race.